Sami Al-Araji, chairman of the National Investment Authority, said that the national housing project in Maysan province will be a model for all governorates. 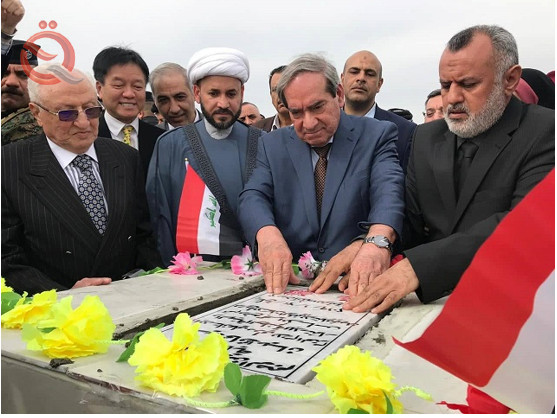 In a statement received by the Information Office of the Commission in a statement received by the "Economy News", said Araji, during the ceremony laying the foundation stone for the national housing project in the province of Maysan to build (3812) housing units, "This project went through a series of technical and legal negotiations lasted more than two years culminated in this The success of laying the foundation stone to be the first project of the national housing in the province, "noting that" this project will be a pattern to be followed in all provinces of the country because of its technical and administrative. " He added that "this project is part of the share of Maysan province of the project to build a million housing units throughout Iraq, which is adopted by the National Investment Commission, which is the share of Maysan province (25) thousand housing units," noting that "the project will not stand at this number of Residential units, but can be increased in accordance with the agreement with the company executing the project, which is one of the large Chinese companies with extensive experience in housing projects. In turn, the governor of Maysan, Ali Douai, said that "the province puts housing projects in the forefront of its priorities within the development plan, and the importance of the housing sector in the life of the citizen Maysani, where the need for the province to (60) thousand housing units will contribute to the national housing project to solve a large part Of which". He added that "the province agreed with the implementing agency of the project and hoped to accomplish during the next three years to make the percentage of local employment in the project 80% of the total employment and are selected through an office in the Office of the province for this purpose that all those who are selected are from Sons of the province of Maysan exclusively, "revealing the existence of five housing projects belonging to the Ministry of Construction parked in Maysan because of financial allocations, calling for the conversion to investment opportunities to resume work.